In many contemporary sectors, E-learning is often regarded as a ‘new’ form of learning that uses the affordances of the Internet to deliver customized, often interactive, learning materials and programs to diverse local and distant communities of practice. 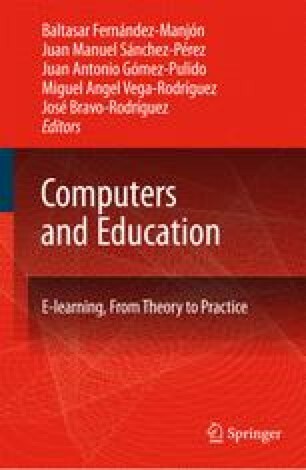 This view, however, is historically disconnected from its antecedent instantiations, failing to recognize the extensive links between developing educational theories and practices that had shaped the use of E-learning over the past 40 years. In addition, the historic divide between Education and Training has led to both the concurrent development of different notions, foci, and labels for technology-enhanced learning in different contexts and situations, and different conceptual origins arising in acquisitive and participatory learning metaphors.